Welcome to The Spondylolisthesis Authority. This website is one of the trusted resources of The Cure Back Pain Network and is therefore completely free to use and enjoy. We provide voices of honesty, objectivity and clarification for a subject that is often confusing for patients to fully understand: vertebral listhesis. Spondylolisthesis finally earns dedicated coverage on its own website, Spondylolisthesis-Pain.Com, and we are sure that this extremely focused resource will help millions of patients globally. You have written to us for over 12 years asking for more detailed analysis of vertebral migration syndromes and now you have all the information you could ever need. Our editorial board is thrilled to help, since this is our one and only mission. If you are looking for the most comprehensive encyclopedia of back pain and mindbody medicine information anywhere in the world, you must read our original flagship website, The Back Pain Authority. 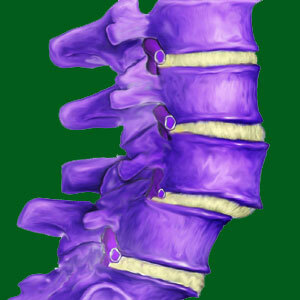 This site features a huge section on spondylolisthesis, as well. Patients who have disc pain issues are best served on The Herniated Disc Authority, given the mountain of research on spinal disc pathologies contained therein. 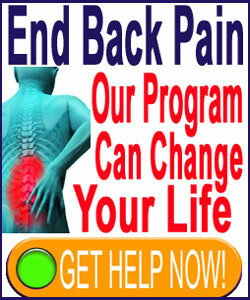 Sciatica sufferers do not have to suffer silently anymore. The Sciatica Authority is the world’s leading webpage covering lower back, buttocks and leg pain conditions from every possible angle. Spinal stenosis is a serious condition and is often largely misunderstood by patients. Be sure to read The Spinal Stenosis Authority to learn the facts before seeking any type of care. Low-Back-Pain.Org is the definitive guide to lumbar symptoms. The Lower Back Pain Authority is written by a patient, for patients. Scoliosis-Pain.Com provides an objective view of atypical spinal curvature using the latest research. Enjoy The Scoliosis Authority and use it to live better. Facet-Joint-Pain.Com provides an honest account of facet syndrome. The Facet Joint Pain Authority is here to help you to find relief from facet symptomology. Piriformis-Pain.Com is the comprehensive guide to piriformis syndrome and pseudo-sciatica. Use The Piriformis Pain Authority to recover from your pain. Sacroiliac-Joint-Pain.Org investigates SIJ dysfunction and sacroiliitis. The Sacroiliac Joint Pain Authority is a much needed resource for patients who can not achieve an accurate diagnosis of lower back and hip pain. The Chronic Pain Coach helps people with persistent health issues to feel better, function better and live better, despite pain. We are available to provide quality and impartial research on spondylolisthesis from both laboratory and clinical experiences. Even more importantly, we provide coverage of vertebral slippage from the most important point of view of all: that of the diagnosed patient. We provide details on the consequences of spondylolisthesis on mind and body, making our website completely unique in its purpose and effectiveness. We are not motivated by money, since we do not want you to become our patient, nor are we trying to sell you anything. We never accept compensation for favorable coverage of any product, treatment or care provider in our editorial content. In essence, we tell you the truth and do not allow money to get in the way. We are 100% positive that you will find our unbiased reporting refreshing, helpful and most of all, objective. Always remember that most sources of information about spondylolisthesis are actually thinly disguised marketing tactics for a specific product, practice or provider. If you can find information outside of this website that qualifies as true news, we will be very much surprised… If you want a straight-forward attitude about all the good and bad aspects of the listhesis treatment industry, you will certainly find it right here. Please, make yourself at home. You can feel comfortable and confident at The Spondylolisthesis Authority website. If you have questions for us, just look us up on social media. We are just a click away!